Dermaplaning is a non-invasive exfoliation that uses a tool to gently remove the outer most layer of the dead skin cells and the fine hair, which is also known as peach fuzz. The relaxing treatment lasts about 45 minutes and can be repeated every 2-4 weeks with no down time. 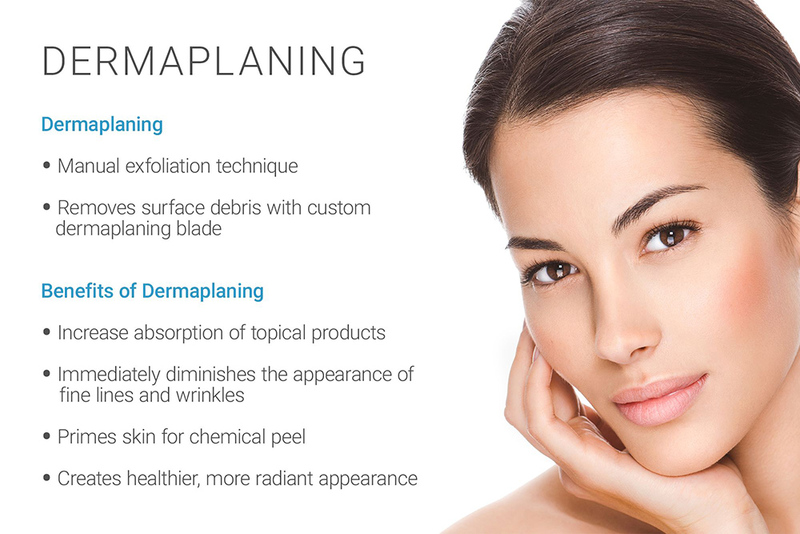 There is no need for harsh abrasives or peeling agents with Dermaplaning. It is ideal for an upcoming event as it leaves your complexion smooth, vibrant and red carpet ready. Dermaplaning helps with the absorption of skin care products and is a great treatment to pair with the Dermal Infusion Facial, Chemical Peels, Seychelles Signature Facial and MicroBotox Facial. We are proud to offer this in the Woodlands at an affordable price. Looking to Get Dermaplaning in The Woodlands, Spring or Houston Area?